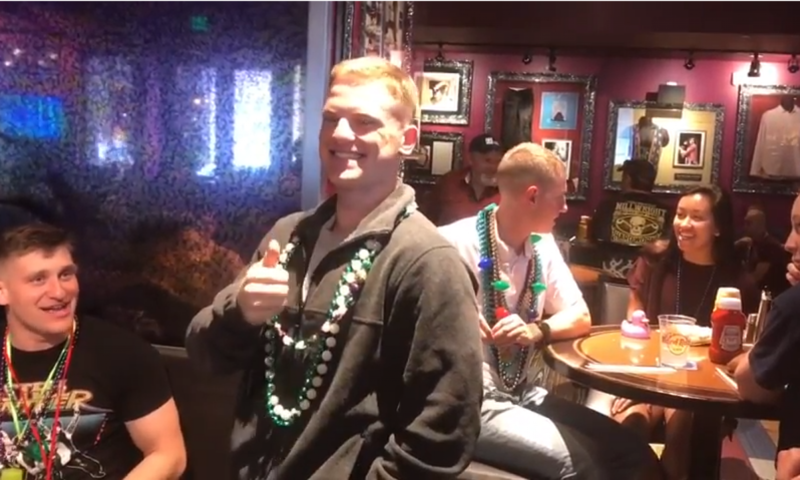 Midnight Yell Practice will be led by the Texas A&M Yell Leaders from the balcony of Johnny White’s Pub and Grill, 718 Bourbon St. Johnny White’s is directly behind St. Louis Cathedral and across Orleans St from the Bourbon Orleans Hotel. Stop in during the day on Friday, have some food and drinks and be sure to thank the staff for allowing us to take over their bar and balcony. For those Aggies attending the game or wanting to tailgate at Tiger Stadium without the hassle of traffic and parking, the New Orleans A&M Club has arranged to provide round trip motor coach transportation from New Orleans. Departure time is expected to be 5 to 6 hours before kickoff, allowing ample time for tailgating. Staging for pickup and return will be at the DoubleTree Hotel, 300 Canal St. Bus riders will be provided beverages for both legs of the bus trip and are also invited to participate in a tailgate hosted by the Baton Rouge and New Orleans A&M Clubs, Aggieland Outfitters and The Association of Former Students. The cost of the bus trip is $125/adult and $75/child 17 and under. Reservations can be made online by visiting the New Orleans A&M Club’s website, http://www.nolaags.info/gigem. Payment may be made using PayPal or by mailing a check to the club. A block of 30 rooms has been secured at the DoubleTree for $179 per night for Friday and Saturday night (Nov. 27th & 28th). To make a reservation at the discounted rate you must call the reservation line, 800-222-8733, and ask for rooms in the “New Orleans A&M Club” block or use group code “NOA”. No additional rooms will be added to the block due to the high demand created by the Bayou Classic game on Saturday.